Bio Notes: Henry (Harry) Edward Clifford was born at North Naparama, Trinidad, on 12 September 1852, the second son and fourth child of F Henry Clifford, a sugar planter, and his wife Rebecca Anderson. The Cliffords were originally a Church of Ireland Wexford family but had settled in Trinidad very soon after its capture in 1797. There, in partnership with Hugh Anderson, the Cliffords leased the Woodbrook plantation from the Murray family, but in 1843 the lease expired and Clifford's father became supervisor of the Andersons' North Naparama estate. Three years earlier, on 5 November 1840, Clifford's father had married into that family, his mother being the daughter of John Anderson, a wool carder with a lint mill between Campbeltown and Machrihanish: this brought extensive family connections there which were to be useful later. In 1859 Clifford's father died of a stroke and his mother, then thirty-five, brought her two sons and two daughters to Glasgow where she made a living as a needlewoman. The elder son Robert became a clerk and her two daughters began teaching young ladies from home, an activity which eventually grew into 'Clifford House' at Pollokshields. In October 1867 Clifford was articled to John Burnet Senior for five years and remained a further five as draughtsman; he may previously have been the office boy, as the recollections of Clifford's son state that he joined the office at the age of thirteen. He left to commence practice on his own account first at 113 West Regent Street and then at 196 St Vincent Street, having won £100 in a newspaper competition for a workman's cottage. In his earliest years of independent practice (1878 to 1880) he studied at Glasgow School of Art where he won the Queen's Prize for a dining room wall and the Haldane Prize both in 1879. By 1884 his practice, hitherto supplemented by teaching at Glasgow School of Art, had begun to pick up and he took rooms at 140 Bath Street, apparently within the office of John Honeyman whose practice was then in decline. This arrangement, which may have been with a view to a partnership, ended in 1885 when he formed a partnership with Burnet's nephew and former assistant William Landless under the style of Landless & Clifford at 227 West George Street, but in the difficult conditions of the mid-1880s Landless (who was said to have a drink problem) abandoned private practice in July 1887 to become architect to Leeds School Board. Thereafter Clifford practised on his own account from several addresses in St Vincent Street, much of the business being around Campbeltown. His home address between 1877 and throughout the 1880s was his mother and sisters' school in Pollokshields, first at 13 (now 167) Nithsdale Road, Pollokshields, and later at 12 Moray Place. In the early 1890s he built himself a weekend house, Redclyffe at Troon, but continued to live with his mother and sisters during the week. In the mid-1890s he appears to have considered moving his practice to England as in 1894 he joined the Society of Architects and had an address at Trismore Lodge, Alexandra Road, Watford. Nothing is known of his English practice at that time. It was probably not extensive. On 7 December 1904 at the age of 52, Clifford married 29-year-old Alice Gibson, daughter of William Gibson, physician and surgeon at Campbeltown in the Longrow Free Church there, one of the witnesses being the Ayr architect James Kennedy Hunter. Their honeymoon was spent in Cannes. In the earlier years of their marriage the Cliffords continued to live with Clifford's mother and sisters during the week, their only child William Henry Morton Clifford being born at Kirkland, Campbeltown on 30 July 1909, but two years later they built a new house in Elphinstone Road, Whitecraigs, where Clifford had already built several houses. It was named Woodbrook after the Trinidad estate. Clifford achieved national fame in 1901 by winning the Glasgow Royal Infirmary competition but following a difference of opinion between the directors and their assessor Rowand Anderson, the commission was given to James Miller, Clifford securing appointment to the Royal Victoria Infirmary as consolation prize in 1902. His domestic work achieved a European reputation with the publication of Stoneleigh in Das Englische Haus in 1904-5 and on 11 June 1906 he was elected FRIBA, his proposers being James Miller, John James Burnet, David Barclay and C J MacLean. 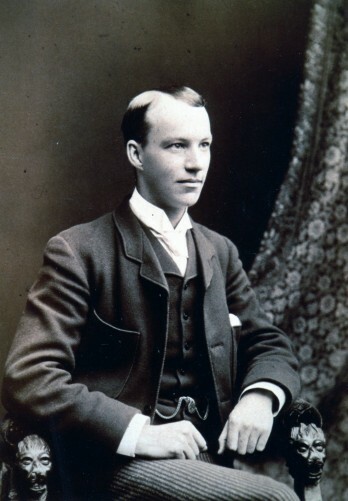 In 1909 he took into partnership his principal assistant Thomas Melville Lunan, who also had good connections in the golfing world. Born in 1878, Lunan had been articled to James Miller from 1896 to 1901, and had studied at the Glasgow School of Art before moving to Watson & Salmond, a partnership with adjacent offices to Clifford's at 225 St Vincent Street and with whom he shared staff on the basis of need. Lunan was a good architect of the Miller school and the Clifford & Lunan partnership was initially very successful, winning the competition assessed by Burnet for the new City Hall at Perth in the first year of its existence. However, Lunan was seriously affected by his experiences in the Great War and returned demoralised and unable to work, obliging Clifford to buy out his partnership. Clifford continued thereafter on his own until his retirement on medical advice in December 1923. His practice was absorbed by that of Watson & Salmond. Having been advised to live in a warmer and dryer climate, Clifford bought a two-acre plot at Reigate where he built a substantial house which was also named Woodbrook. He continued practice in a small way, designing one major house, Crosshill at Wendover, for friends from Campbeltown. His health recovered, but in 1929 his investments were seriously diminished by the Wall Street Crash and the consequent sharp decline of the London Stock Market. He suffered a severe heart attack in July 1930 and by 1931 his wife was also ill with phlebitis and other problems. Because of nursing and other costs, Clifford decided to sell Woodbrook, but before it could be sold he died of a stroke on 1 October 1932, his funeral being from the Royal Hotel Campbeltown to Kilkerran Cemetery on 9 October. He left moveable estate of £2937 18s 0d. His wife died only nine months later. John Watson II, who knew Clifford well in his later years, described him as tall and good-looking but rather shy and retiring; his son's memoir, however, suggests a more assertive personality. He took no active part in public affairs and his business was founded solely on their professional merit coupled with family, golfing, sailing and cricketing connections. Except for Pollokshields Burgh Hall, which has affinities with the Scots Renaissance of Burnet Son & Campbell, his work tended to be essentially English rather than Scottish in inspiration from c.1890. His churches and houses were consistently in a robust 15th-century and early-16th-century manner, Cathcart Parish Church designed in 1914 differing little in style from his work of twenty years earlier. At the turn of the century his public and commercial buildings were stylistically more adventurous with modern movement characteristics most notably at the very fine Aird and Coghill printing works of 1901 and in the design for the Glasgow Royal Infirmary but by 1909 he had adopted a more conventional but very competent Edwardian Renaissance manner, influenced by his admiration for the work of Richard Norman Shaw. 227, West George Street, Glasgow, Scotland Business 1885 Partnership of Landless & Clifford located here. 1905 St Margaret's Church Tollcross Glasgow Scotland Additions may be by Clifford or Watson Salmond & Gray? 1906 John Street School Bridgeton Glasgow Scotland Addition? 1907 Broomhill Established Church Glasgow Scotland Ist premiated design ( R R Anderson assessor), but not adopted. 1913 Pollokshields Established Church Pollokshields Glasgow Scotland Creation of a 'chancel'. Organ divided. c. 1920 Balinakill House Clachan, North Kintyre Argyll Scotland Alterations/additions? 1921 More's Hotel Glasgow Scotland Addtitons?